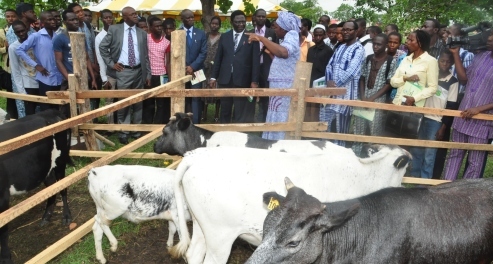 The University of Agriculture, Abeokuta (UNAAB), will be hosting the 2011 Environmental Management Conference. The Conference titled “Managing Coastal and Wetland Area of Nigeria”, will hold between September 12 – 15, 2011 at the University’s Senate Chamber and the Julius Okojie Lecture Theatres II and III. A release issued by the immediate past Dean, College of Environmental Resources Management (COLERM), Professor Toyin Arowolo, informed that the Conference will be organized in collaboration with the Africa Geoscience Review, Paris, France, as well as Scientists from the University of Lagos, Obafemi Awolowo University, Ile-Ife and the University of Ibadan. According to the release, professionals in the Water, Public Health, Urban Planning and Infrastructural Development sectors will review the challenges and proffer solutions to environmental management in the coastal and wetland areas of Nigeria, while discussing best practice, regulation and innovations for the provision of safe and green environment. The Conference will be declared opened by the Vice-Chancellor, Professor Oluwafemi Olaiya Balogun.